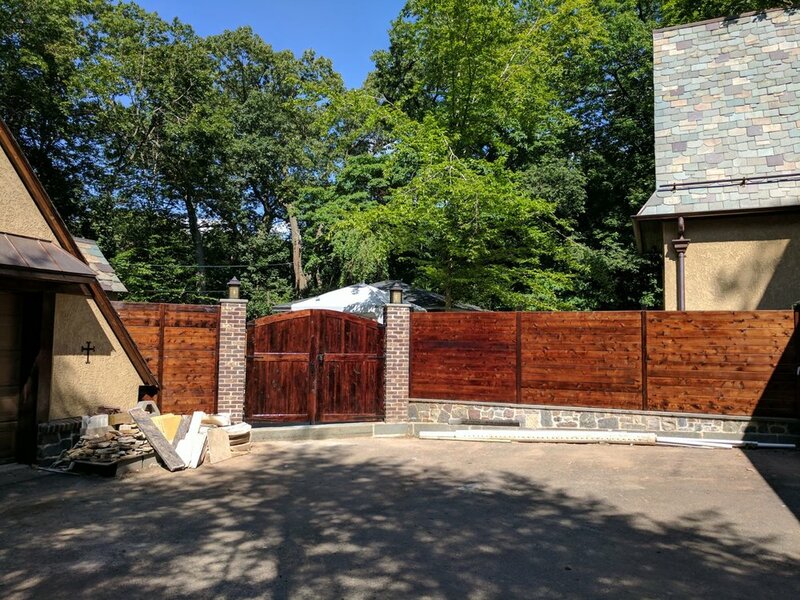 All our custom cedar wood Gates in NJ are handmade by experienced craftsmen and can be made to any specification, guarantee quality and a professional service from start to finish; from the initial consultation, to the manufacturing. As part of our excellent service, we provide free estimates to anyone with a no obligation quote. This means if you’re looking for custom wood gates in New Jersey or the surrounding areas, you can find out the cost of your requirements before you commit. Cedar Board on Board is the option that will provide the most security and privacy, and also is the sturdiest and most stylish gate option available. This is our top-of-the-line custom gates, and there are many options to upgrade it even further, including decorative ornaments and added trim, to give you a completely custom fence. We use only the best materials available and do not take short cuts to cut our cost. 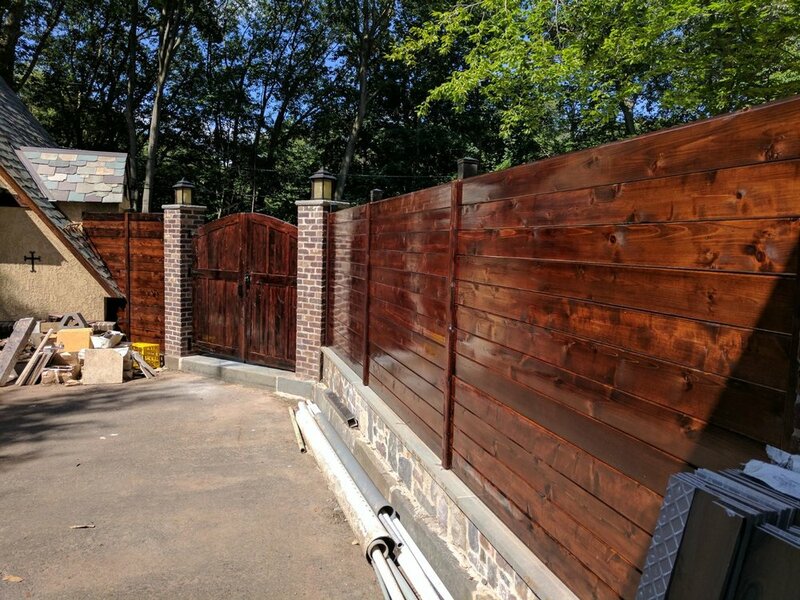 Using the best materials makes a big difference, not only in the overall look of the cedar gate, but also adds years to the life of the gates. It is our goal to build a gate that will last. We stand behind our privacy gates! IPE entry doors and gates. IPE wood it's extremely strong and durable for outdoors, it makes then a perfect option when you are needing outside doors and gates.